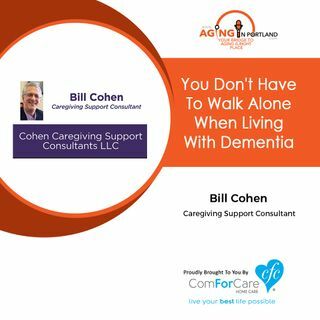 Bill Cohen is a caregiver support group leader and speaker, an Alzheimer's Association volunteer, and a caregiving consultant. His loving and talented mother Sheila lost her home to Hurricane Katrina. Then she lost her health, her ability to create beautiful art, and ultimately, her life due to Alzheimer's. For almost 10 years, Bill was more than just her oldest son--he was her primary caregiver and advocate. Bill is a guide for family caregivers, and he helps families cope with ... See More dementia care. Very insightful information!! Thank you very much Mark and Bill!